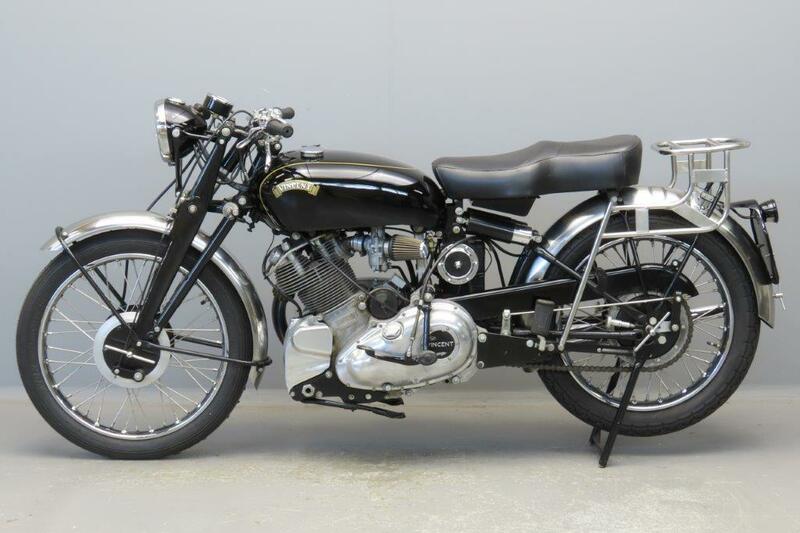 Since his schoolboy days Philip Vincent had been a great admirer of Howard Raymond Davies, who had begun manufacturing HRD machines at Wolverhampton in 1924. 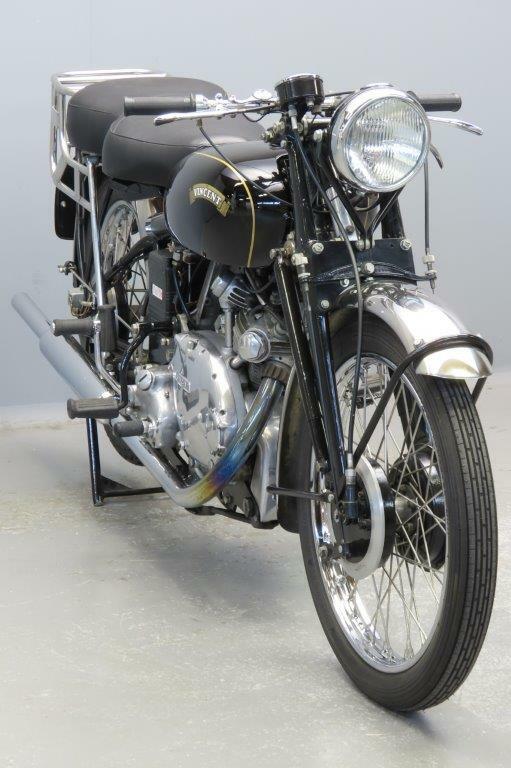 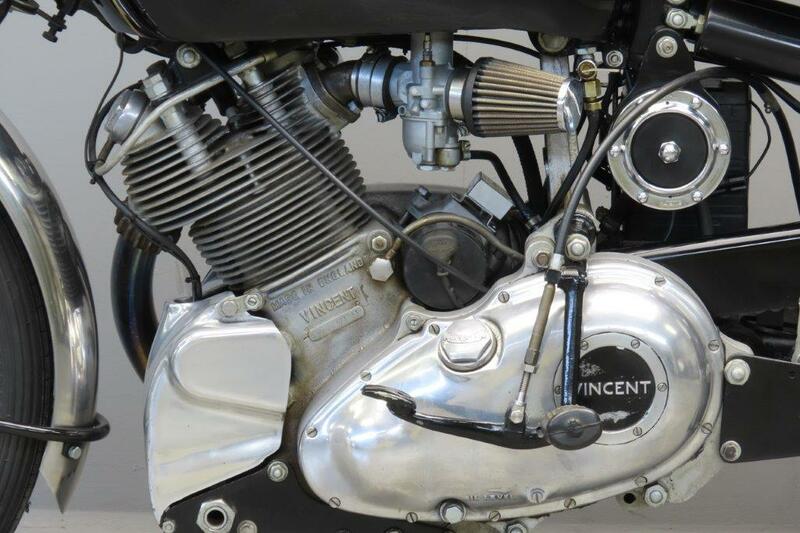 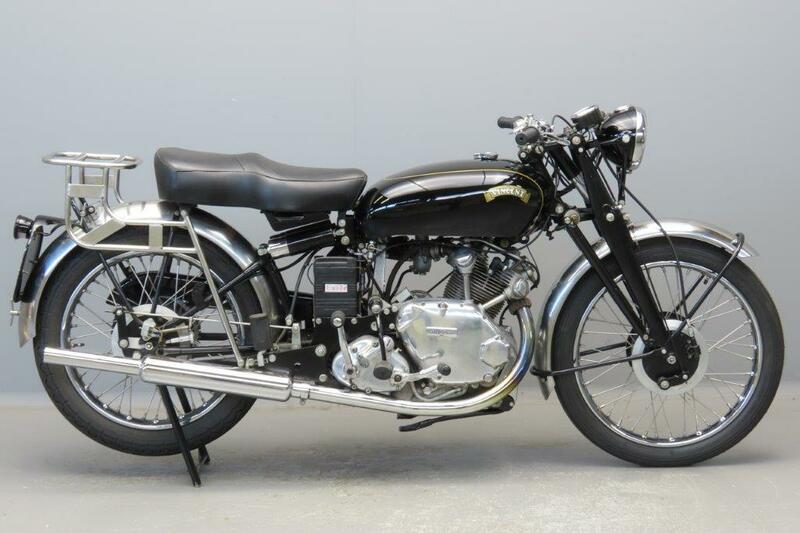 While studying mechanical engineering at Cambridge Vincent built his prototype Vincent Special that already incorporated the strong triangulated and braced sprung rear fork that would remain a feature of all Vincents-to-come. 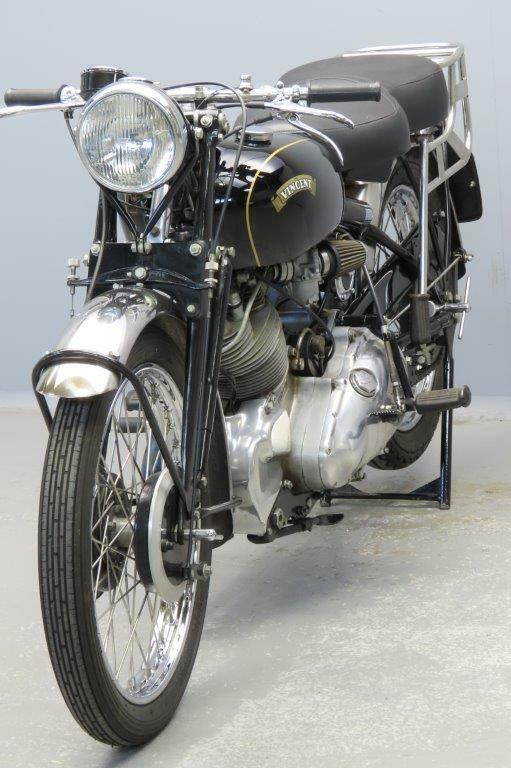 In 1928 Vincent acquired HRD Motors Ltd. and formed the Stevenage-based Vincent-HRD company; JAP and later on Rudge Python engines were used. In 1932 Phil Irving joined the company and by the end of 1934 the Vincent/Irving designed 500cc Comet engine was presented. It featured a high camshaft and short pushrods angled at 62 degrees. 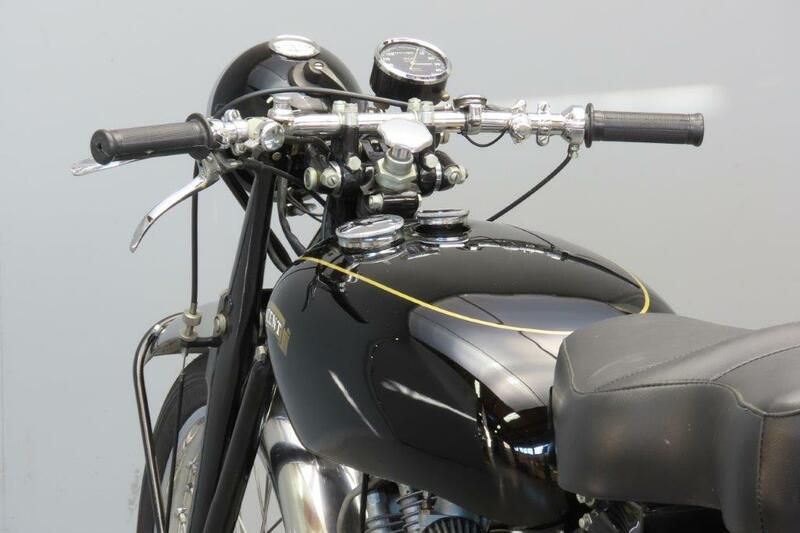 The makers guaranteed a 90 mph top speed. The war stopped motorcycle production for a number of years: in 1949 the series C Comet came out ( there never was a series B). 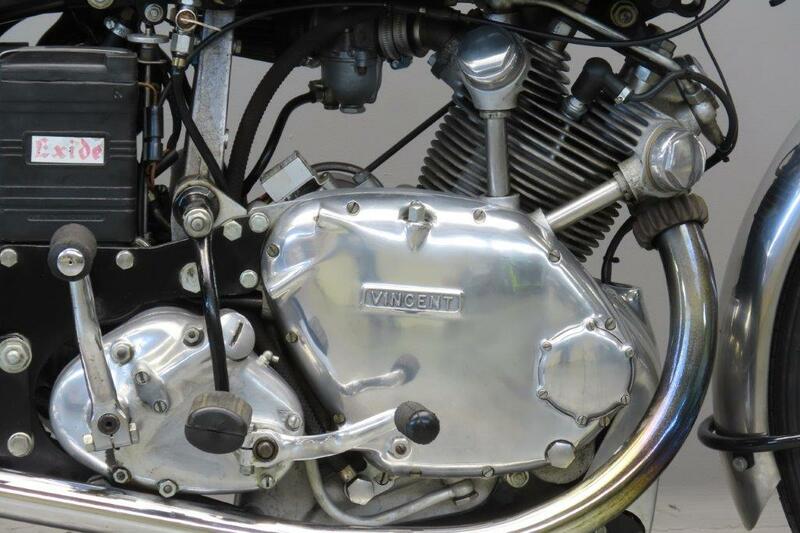 In 1950 HRD disappeared from the logo; the machines were renamed “The Vincent”. 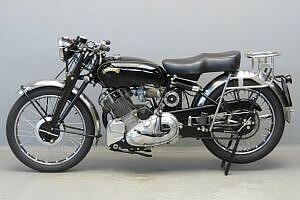 Production of all Vincents finished by the end of 1955.